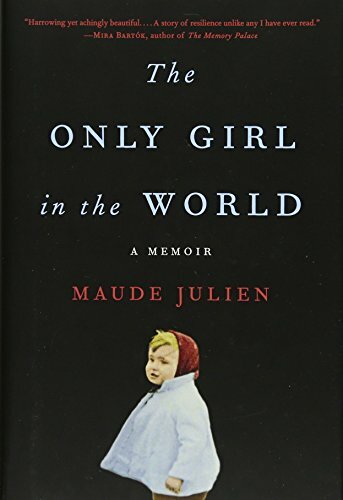 Review of "The Only Girl in the World"
Maude Julien, a French therapist, tells her own story of abuse by her parents. Her father was the source of the problem, driven by bizarre political beliefs that center on the Third Reich and survivalist tendencies. He aims to raise Maude as a girl with extraordinary qualities who will have almost superhuman qualities. When he was middle aged he first chose his wife, and then in his fifties he moved them to a secluded house in rural northern France to raise their child. He indoctrinated both his wife and child, and his wife also collaborated with him in his cruel treatment of their daughter. Their life was without affection or love, and was often brutal. It included terrible treatment of Maude's pets and Maude herself. The man who visited regularly to butcher their farm animals made Maude calm them before he killed them, and he also sexually abused her. She certainly does not feel able to tell her parents about this. As she gets older, her resentment against her parents grows and she becomes more aware of their fallibility and limitations. Eventually she finds ways to befriend other people and escape from her home. This content of this memoir is horrific and often hard to read. The unabridged audiobook performed by Elisabeth Rodgers is steady in tone and brings out the rather formal quality of the prose. It is unsurprisingly a memorable story. Julien explains how as an adult she has not been able to have a relationship with her mother, and how she draws on her childhood experience as a therapist who specializes in clients who have experienced similar trauma.